We all want to be a part of something positive. That’s why they’re called memberships. Family Wellness offers individual and family/household memberships with Monthly or Annual payment options. 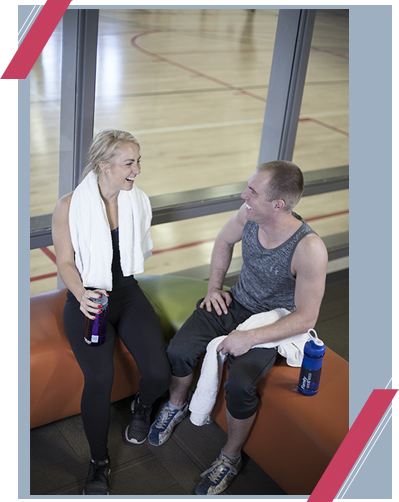 A membership gives you full access to the facility. We also offer daily guest passes. Payment methods include EFT (bank draft) and Credit Card for monthly payment. Annual memberships may be purchased in advance by check, cash or credit card. Annual rates are also available. Please speak with a Member Relations Associate for details. Household/Family includes: 2 adults living at the same address and their dependent children through the age of 23 (Age 24+ must purchase an individual membership.) See our Age Guidelines for the facility. Click Here for our current membership rates. Each Individual and Household/Family membership includes 3 free guest passes per calendar year. Once all free guest passes have been used, guests of a current Family Wellness Member pay half of the regular day pass fee. So you’ve done your research and you’ve decided that Family Wellness is right for you. Now what? You can start by requesting a free single day guest pass, scheduling a tour, or stopping by the Family Wellness front desk! We are committed to connecting you to the programs and services you are most excited about, and maybe even encourage you to try something new. If you have any questions, please feel free to contact our member relations team at 701-234-2400. As a commitment to the health of all community members, Family Wellness offers financial assistance to those with demonstrated financial need or extenuating circumstances. Applications are available at the Front Desk or click here to print. Please submit completed applications to the Front desk. Through its commitment to employee health and wellness, Sanford Health funds a 20% portion of the membership to Family Wellness. This includes family members living in the same household and dependent children up through age 23. Sanford Volunteers and Sanford Auxiliary also receive this benefit. Please bring your Sanford photo ID when registering your membership. We partner with several insurance providers who participate in reimbursement programs. Click below to learn more, or to get started with your reimbursement. The mission of Family Wellness is to inspire healthy lifestyles by connecting people in a fun environment. To help with that, we encourage all of our members and guests to follow our Code of Conduct.